A lot of people want to begin their work from home journey with an entry level job to get some experience and I’m often asked about at home typing jobs. Typing jobs can be very different and there’s often more to them than just “typing.” The term typing jobs is a very broad term. Before I show you where to find these jobs I thought it would be a good idea to go over the different types of jobs. Just like the term “typing jobs” can be very broad so are data entry and transcription. I’ll give you the basics but just remember you’ll be doing specifics when you land a job! Data entry is simply taking data provided by a company and entering it into some sort of system or spreadsheet. This could be entering payroll items into a system for employers, catalog items into a system for retailers, and compiling lists of customer interactions for businesses, just to name a few. 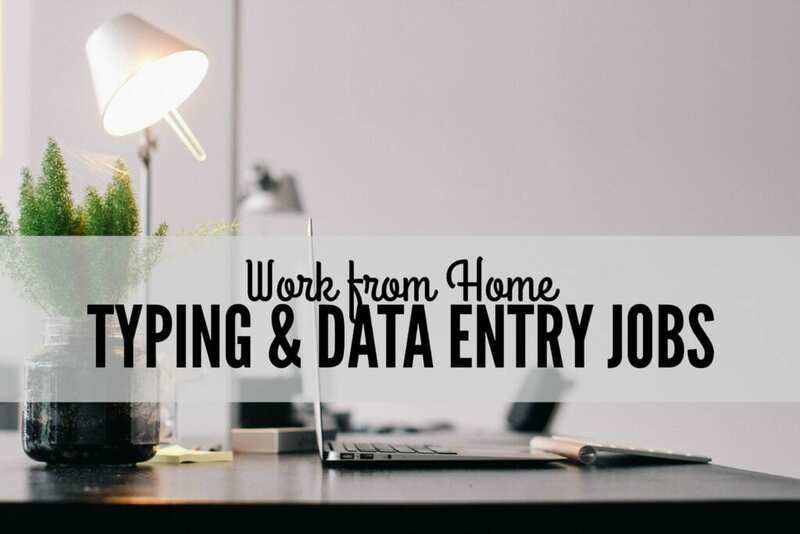 The type of data entry job you get just depends on the industry you’re working with. Most data entry jobs do not require a college education. You will need to have good communication skills, grammar, and of course, computer experience. Transcription is another type of work from home job that is interchangeably used with data entry and typing jobs. At the most basic level transcription is simply typing audio versions of documents. This could be lectures, workshops, conference calls, podcasts, and more. With work at home transcription you are working off of recorded audio and no college degree is usually required for work from home transcription jobs. Ready to find a job? Here are some places that hire work from positions. Quicktate – QuickTate hires work from home typists to transcribe voice messages and various audio files. You’ll have to take a quiz to see if you qualify for a position with them and also pass a background check. No college degree is needed. You can apply here. Dion Data Solutions – Dion Data Solutions hires part time data entry specialists. You must be able to type at 60 wpm, have a computer running Windows XP, and a stable internet connection. Dion Data Solutions provides all training for free. You can apply here. Scribie – Is a transcription company that hires independent contractors to transcribe short audio files. The pay is $10 per 1 hour of audio. They also pay a $10 bonus on a monthly basis for every three hours’ worth of audio transcribed. 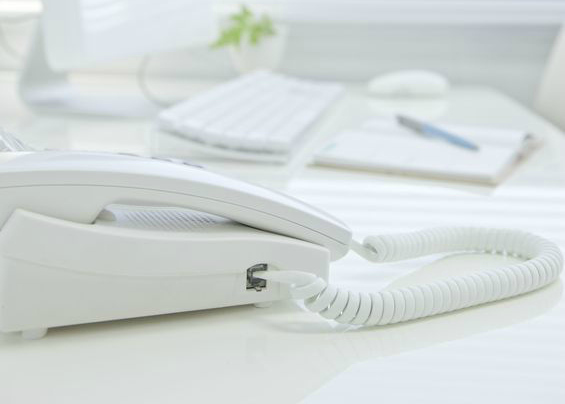 All work is on a first come first serve basis and is expected to have a two hour turnaround time. If performance is good you can move up from a transcriber to a reviewer. You can apply here. Aberdeen – Aberdeen hires real time captionists and transcribers. You can visit this page to see the current job openings they have available. If there is a job you’re interested in you can view the instructions at the top of the page to apply. Micro jobs are small jobs paid on a per-piece basis. An example might be a typing job that requires five minutes of your time to complete and pays $1.50. These jobs are a work-when-you-want type of thing and there may not be enough work in these to bring a full time income. Click Worker – With Click Worker you can complete a number of writing and transcription micro jobs. After filling out a qualification assessment you’ll be shown a list of jobs based on your results. You’re free to work when you want to. You can sign up here. Amazon MTurk – Mechanical Turk is another micro jobplace. Once you sign up you’ll be able to see “HITS” which are just short assignments on a broad range of things. It’s important to note that not all HITS will be typing work related. You can sign up here. That really depends upon several factors, namely being the company you choose to sign up with, your speed, and your skills. Typing jobs are not extremely high paying. I would expect to make anywhere from $7-$15 per hour. Would I Recommend You Get an At Home Typing Job? Honestly, it really depends on what kind of income and work you’re looking for. The barrier to entry on online typing jobs is low, that means the pay is low also. If you find your own clients you’ll make much more money. I put this post together because so many people ask me about this type of work. But I hands down feel like freelancing is the way to go with almost all work from home jobs. I think at home typing jobs can be a great first step to get your foot in the door with work from home positions but it appears you’re going to have to put in a lot of work to make a livable wage. If you’re wanting to help supplement your family’s income or are just looking for some easy work to fill up some time or as a side hustle, then one of these jobs might be a good fit. Great coverage of the different options for “typing” jobs and how to go about getting started. I imagine that someone looking to supplement their family income by working from home could use this as an effective guide. hi…im queenie…i am willing to apply for this job….i will do my best i can….i want to help my family. Do you work from the home now? Hi Good Day, I am willing to apply data entry typing. Thanks Savvy, I have been looking for at home jobs. With all the experience I have I will find legitimate supplemental income jobs. HI I AM AMANDA AND I REALY NEED TO MAKE SOME EKSTRA MONEY TO SUPPORT MY FAMILY CAN YOU PLEASE TELL ME HOW? Violeta:Looking for at home Typist in Omaha/Council area. Please send experience..Thanks!! Is this applicable for filipino’s too ? Im a single breastfeeding mom and it would be nice if i could quit my office job and stay at home with my daughter. It’s really hard finding a nanny now-a-days and there is no one out there looking out for my little girl, yet i do night shifts. Hi. Were you able apply and got accepted by any chance? Salma: Looking fot @ home Typist…What experience..I’ve been to Philippines several times. Iam looking for at home typists..What experience do you have? Great list! One thing you may not know is that all reality television shows need transcribers. If you’re a good typist and are good with computers, you can get transcription work that pays pretty decent for the glut of reality television out there. All I mean by good with computers is you need to be able to download and watch the episode clips they send you, being able to pause and restart all while typing. Once you get the hang, it goes well. This kind of work can be hard to come by at first, but once you get into it and a good reputation for turnaround, TV people will seek you out with all of their projects. Note, this is only needed for reality television because editors scan text for useful footage to add to their shows. Scripted shows are already scripted so there’s no need for transcription. I have worked for a transcription company from home transcribing mainly US reality TV shows for the last 12 months but have quit because the pay was so poor (less than half the UK minimum wage). Can you tell me how you go about finding this kind of work independently as now I have the relevant experience and equipment this is something I would certainly like to find out more about? Hope you can help me here! Hi Jill, you can search for freelance transcriptionist jobs online and update your resume to send to potential clients. This post shares details about how to land entry-level transcription jobs but since you have some experience, I’d recommend reaching out to clients directly and pitching them on your services: https://singlemomsincome.com/entry-level-online-transcription-jobs/ You can cold pitch if you come across a website or potential client that may need your help, or you can apply through job boards. Where do I apply. I have 15 years of transcription experience. How do I find these jobs? Where do I look to get an assignment? Click the links in the article. You’ll be able to apply to each company individually. I am a good experience in typing. i can type at least 20 pages per day effectively. So pls contact me. I came across this website when i am searching for a website where i can get home typing job and i hope i can get from this site. I can type above 100 pages in a day because i have a speed of about 80wpm. I will be highly appreciated your response in soonest. Thanks. I am a good experience in typing. i can type at least 20 pages per day effectively. So please contact me. i need a home typing job. but i don’t have money to pay you. but if get my first income from the typing, i can return your money. Thats a great post, thank You for the info.. I was wondering if you had any rccomendations apart from Upwork/Elance for entry level freelancers? Just an FYI, Quickrate requires you to pay $15 for your own background check. You cannot simply give them one, if you already have it. Scribie, the pay is a joke. Transcribe 6 minutes of audio for $1. Whether it takes 10 minutes or 2 hours, it’s $1, from beginning to end. Thanks for sharing your experiences. Much appreciated! I like to join the job typing at home. Thank you for sharing. I am based in Cape Town South Africa.. I am available for typing work from home … I would prefer to work for a company based in Cape Town. Didn’t people read your post? I am beginning to wonder after ready many of the comments! I live in Johannesburg, I got retrenched in December on the basis of LIFO. Times are difficult, I have a 14yr old daughter to support, I do not get maintenance. I have MS Office and have 7yrs experience in Data Capturing. I am in urgent need of a leit work from home job with no fee required. Please tell me how to join in this home-based jobs. thank you! Is it safe to work from home online? I am alittle bit confused bcoz there are so many fake websites also that claims to give you best job at home. so please suggest me the real websites for typing work at home. The sites listed in the post are legit. Need to have this job,.how can i join? hi..m in africa can i do such jobs?? Hi Estell most online jobs are available internationally, but to be safe, I’d check on the specific website or ask the person of contact if you can perform the job. Good luck! Is there anyway you can delete the comments of people requesting a job? 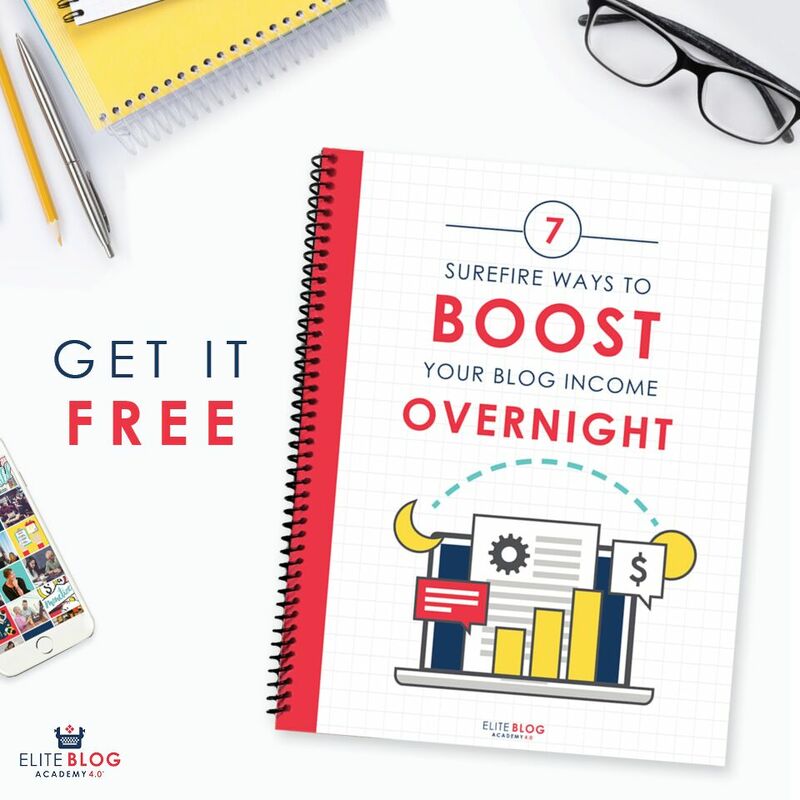 It downgrades the valuable information you have provided for people who are genuinely interested in working as freelancers legitimately from home. I appreciate your article it’s concise and informative. Hi I’m Mari, How can I apply in your company,I need extra income for my child.Do you hire first timers like me? out of town. I am now looking for part time job. I have been in the administrative field for over 30 years and I am looking to make some extra income with typing and working from home. I am now looking for part time job. I have a Certified Graphic Design NVQ LEVEL 4. I am a mother of 6 and I am homeschooling the last 4. I am in need of some work from home to help out. I am a pretty descent typist and would love to have some help finding some kind of work. Want to get typing projects. Yes I want to have a typing work. I really need that work for Home Typist for single moms. I have 17 years experience in typing. Please assist me on how to start and what to do to get started. Hi Elizabeth. you should apply for one of the options mentioned in this post. Please note Aberdeen is currently not hiring anyone for transcription work, but you should check back with them in a few weeks just in case something opens up. Hey Alexa thanks, i was looking for that types of places that hire work from positions and i got it from your sites. Out of this four list which one is best can you suggest me please?? It looks like Aberdeen is not hiring any transcriptionists right now. If you’re a beginner, Scribie may be a good option but you won’t earn much. You should try to apply with either Quicktate or Dion Data Solutions. Use the links provided to apply. Thanks Alexa for all your tips and advice. I am based in Johannesburg, South Africa. I am a pensioner and need an income…require typing jobs from home. I have worked as PA/Secretary for most of my working career…good English and typing skills. Do you know of any legitimate market research sites for sharing opinions. I was wondering if any of the above sites for “typing from home” apply to us in South Africa? Hi Carryn, I’m not really sure. Most listed will only be applicable to US residents. Thanks Ingrid, will check that out! Hi, Every One, I am Lodhi and I really need that work for Home Typist for single moms. I have 26 years experience in typing. Please assist me on how to start and what to do to get started. Hi Lodhi, Please follow the links in the article. Thanks. Hi, I’m a single mom in South Africa and need to be earning! Stable internet connection, strong admin skills and two years experience in Recruitment. I’m good & experienced in typing. I can type at least 20 pages per day effectively. So pls contact me. You’ll need to follow the links to the companies above and submit applications. We are evry much interested for typing job. Apply through the links. Thanks! i can type 30 pages a day … and low cost than other. 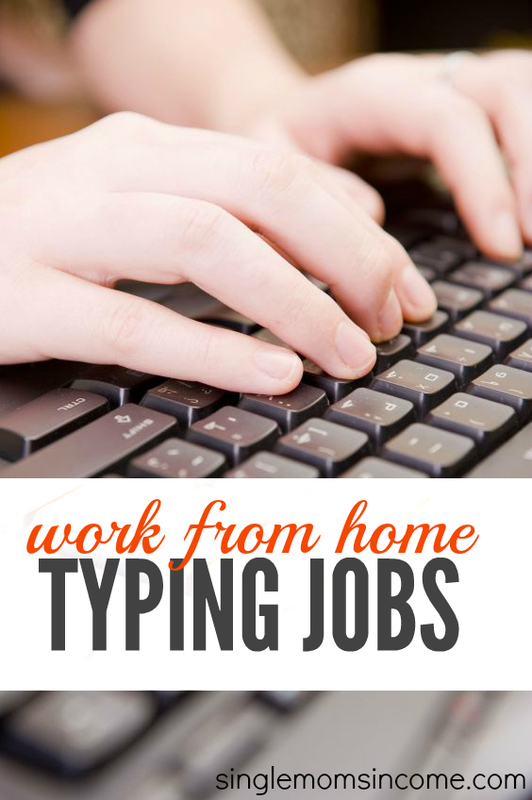 If you’re interested in a work from home typing job you’ll need to apply through the links in the post. Thanks! I am looking for a home data entry or typing job. I have all the experience. Apply through the links in the post. I can’t believe the number of people on this thread, asking for a job or how to apply. They clearly failed to read the article in it’s entirety or failed to comprehend it. Anyway, thanks for an informative article. I would like to start this typing jobs from Home please advise me. Awesome! Your first step should be to check out one of the legitimate opportunities mentioned in this post and see if you meet the qualifications. Hi Alfani, we’re not sure since this list was generated based on opportunities here in the U.S. However, all the links are safe so feel free to check them out and see what these companies say. I want online typing jobs..thank you.. Thanks for this list and thanks for the go to information about typing jobs. Hi Yonnie, Unfortunately most of the jobs I post are applicable to only US. Definitely avoid the jobs asking for payment upfront. Can work any kind of typing work from home without any investment. But I am very much sure that I will finish the work whatever assigned to me. You should never have to pay to work….Click the links in the post to be taken to applications. I have good typing experience if you had a data entry job contact me. Thank you, great article for typing online jobs. Typing at home, also you get paid. I am currently looking for work, either packing goods or envelopes. Can you point me in the right direction – legitimate employees. Great post! I hope people would read more of your post and not just ask for a job. lol. Its very informative! and know how I ll get paid .. There are links to different companies you can apply with in the article. EAch company will have its own payment setup. Links are in the post. I am a single mom and I know blind typing so please contact me how to start to work? very nice job and need me this job. Links are in the post. Just click on those and you’ll be taken the application page for each company. I am willing to work as a home based typist. I will do my very best to fit to your expectations. Thank you and look forward to work with you soon. I need this job, i have typing experiance. I need a job at home , i am good in typing and writing. You can apply for typing jobs by clicking the links in the post. Find more about freelance writing here. Hi, how to apply for online typing job? I’m an experienced medical/medico-legal typist based in Johannesburg. My typing speed is 81 words per minute. I’m very interested in working from home. How to Apply? I am interested. Links are provided in the blog post. You can apply through the links in the post.